Top Model 2013 Casting calls are here. You’ve been waiting for months and the Top Model casting calls have just been announced! Are you a huge fan of ANTM? Have you always wanted to get onto America’s Next Top Model? Her is your chance! Finally, Tyra Banks and crew are casting the show again. We haven’t had a Top Model casting call in some time since last season was an all star show where the usual modeling tryouts were skipped. But, your chance is here for cycle 20 and the 2013 season. Cycle 20 / 2013 will switch it up a bit with a co-ed show. Yes, you read that right, ANTM is looking for both male and female models for 2013. 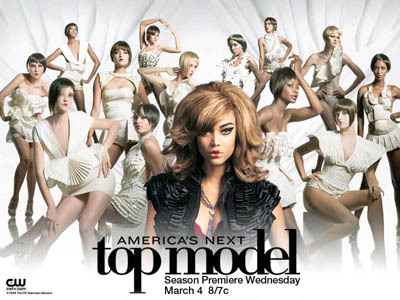 Top Model is a reality modeling show that is hosted by veteran model Tyra Banks. The show casts a group of wannabe models and through the course of the season transforms them into top models. All the models live in one house where they share rooms. Every episode of the show has the models doing a series of photoshoots or other modeling assignments and at the hours end, a winner and a loser of the challenge is revealed. The loser of the episode must leave the house and is kicked off the show. At the season’s end, 2 models go head to head to prove that they are America’s Next Top Model. The winning model gets a large prize package which includes a contract with a exclusive modeling agency as well as a high priced advertising contract. America’s Next Top Model is coming to Philadelphia to find the next ‘it’ girl. An open casting call has been scheduled for December. Are you America’s Next Top Model? Come tryout for the show and have a chance to ‘work it’ for the reality modeling competition’s casting directors. Don’t live in Philly? Don’t fret! The popular modeling reality competition has auditions planned in many cities and they are also taking online / email submissions. You can check out the rest of the Top Model Tryouts for 2013. So ladies and gentlemen, practice your fiercest looks in the mirror, throw some books on your head to walk the perfect walk and get ready to audition to be America’s Next Top Model! I am 5’8, average build and have inspired to be a model since I could remember, maybe I was 5 or 6. I used to pose and have my brothers take modeling photos . It’s more than just a dream of mine, I consider it a career. Something I inspire to be great at I would like to know when cast and calls for America’s Next Top Model will be coming to the Seattle area if anyone knows please comment for 2013-2014. I cant wait for ANTM auditions. Hi my name is Mylasha Campbell. I am 22 year old my big dream is to be a model and I want do this because I am very proud girl. I feel like I just want to start this now for me. I want to be America’s Next Top Model so badly. I keep hoping that the show will do another petite / short model cycle but they haven’t and it looks like I am going to have to keep waiting because cycle 20 is only for tall girls, again. Oh, and BTW, I am 5’11” with an athletic build. I am so glad that America’s Next Top Model is also taking males. I would love to be on the show. I do not have any modeling experience but I know you do not need any to audition for Top Model. I want to be famous really badly and getting onto a big show like Top Model would really help me achieve my dream of being famous. I think cycle 20 will be great now that men can also be a model and win the show.